CHICAGO — If you don't have Lollapalooza tickets yet, you're probably going to have to cough up some extra cash to get them. 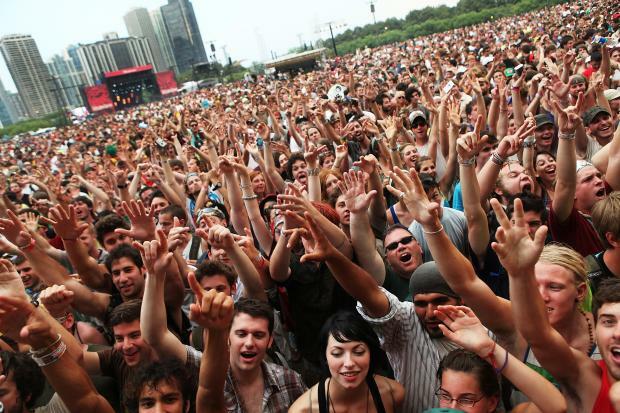 While Lollapalooza organizers "do not condone purchasing passes from secondary markets," resellers may be the only option for would-be concert-goers because festival tickets sold out within days of the lineup being announced. Three-day regular passes originally sold for $235, but are $300 or more on Craigslist and $290 or more on StubHub. One-day passes were $95 each, but at Friday-only tickets on StubHub are now selling for $171 or more. Saturday tickets were $215 or more on StubHub or $200 or more on Craigslist. The exception is some one-day Sunday tickets: Originally $95, some resellers have priced them at $85. Still, others are being sold for $115 or more. Linden Falftien, a sales representative for Center Stage Tickets, 10409 S. Western Ave. in Beverly, said buyers needed to use more "old school" methods to get better deals on their tickets. He said Center Stage is selling Lollapalooza tickets — one- and three-day passes — for $175 to $350 and expects to sell out as the concerts begin. "Look for the local broker and make a phone call instead of just going online and hitting Craigslist," Falftien said. "Anybody that's looking for tickets nowadays, the best way to get the best prices — and you're hearing from a broker who's been in business 30 years — is the old school way: Google your local guy and make a phone call and talk to somebody in person." Tickets to many Lollapalooza aftershows also sold out — some within minutes — and are now only available through online resellers. Lana Del Rey and Max Jury tickets, which were $30, are $148 at StubHub and $187 and more at Craigslist. Chance the Rapper aftershow tickets were originally $17-$20, but are about $55 at Craigslist and $64 or more on StubHub. There have been recent reports of counterfeit tickets being sold through social media sites like Craigslist. A Chicago police spokesman said before paying for tickets, buyers should check things like the tickets' serial numbers, which should be different. The spokesman said buyers can also contact sites like TicketMaster and ask to verify the serial numbers are real. "Deal with somebody reputable instead of a guy standing on a corner," Falftien agreed.